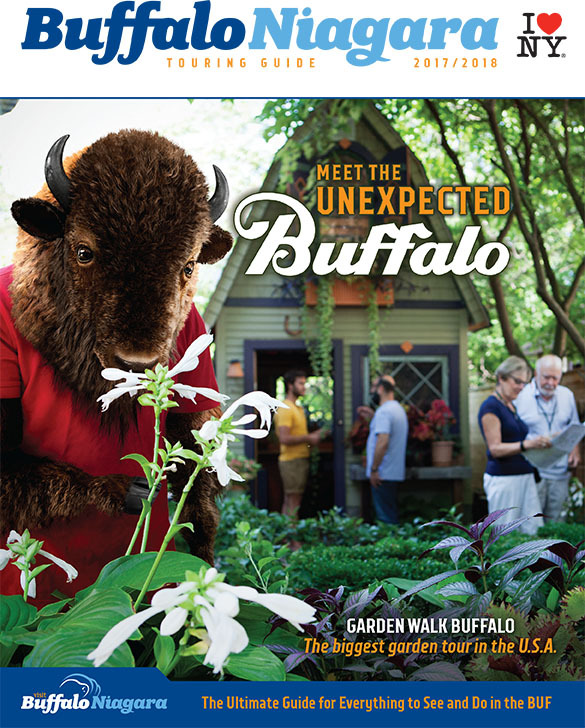 The shed makes the cover of our visitor's bureau (Visit Buffalo Niagara's (VBN)) visitors guide for 2017. Actually, there are three covers – the Colored Musician's Club (celebrating their 100th anniversary this year! ), and Frank Lloyd Wright's Darwin Martin House. Good company to be in. So now I can just tell people my shed is one of the top three destinations in Buffalo. Who can argue with that now? It helps to have a good relationship with the visitors bureau. I work with them in my role as Vice President and Marketing Chair for two organizations - Gardens Buffalo Niagara and Frank Lloyd Wright's Graycliff. And even as my role as a designer for the Michigan Street African American Heritage Corridor Commission. They've been a client for a year or so. It also helps to know well the VBN marketing crew, ably led by Ed Healy, Vice President, Marketing. And WAY more important then Ed, is the art director/designer for the guide, VBN's Matt Steinberg. Matt interned for me way back when he was young. And I was young. Either way, we're both old now. I also know, and have worked with, the photographer, the talented Eric Frick. 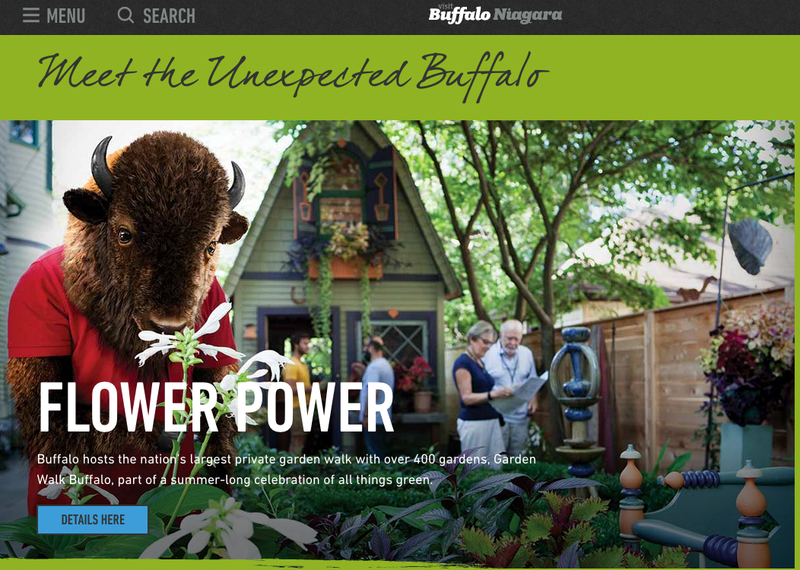 The image, part of VBN's 2017 marketing campaign, "Meet the Unexpected Buffalo" is also being used in a series of ads, as well as on the home page of their website (shown here). Feeding into the decision of featuring gardening on their cover is not only Garden Walk Buffalo, America's largest garden tour, but that the GWA | Association of Garden Communicators will hold their annual conference here in August. 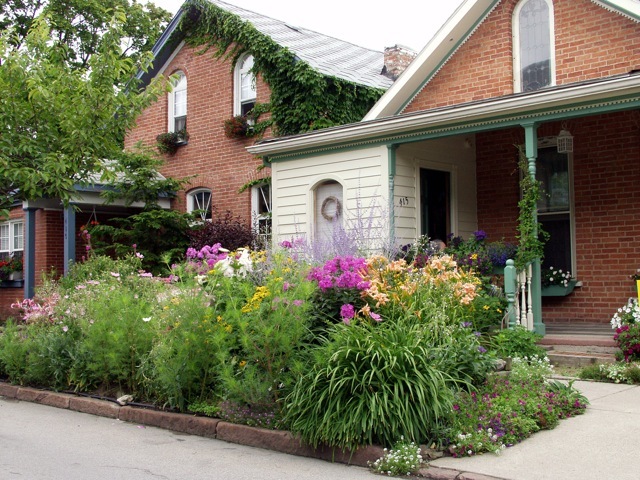 VBN will make sure to get these garden-themed guides into their green-thumbed hands. 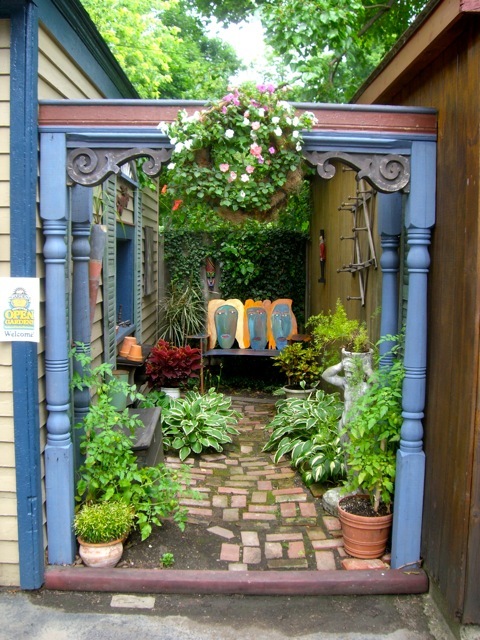 As part of the visitors guide garden coverage, VBN also picked up an abridged version of a blog post from last year featuring some "can't miss" gardens from Garden Walk Buffalo. It's a two-page spread! 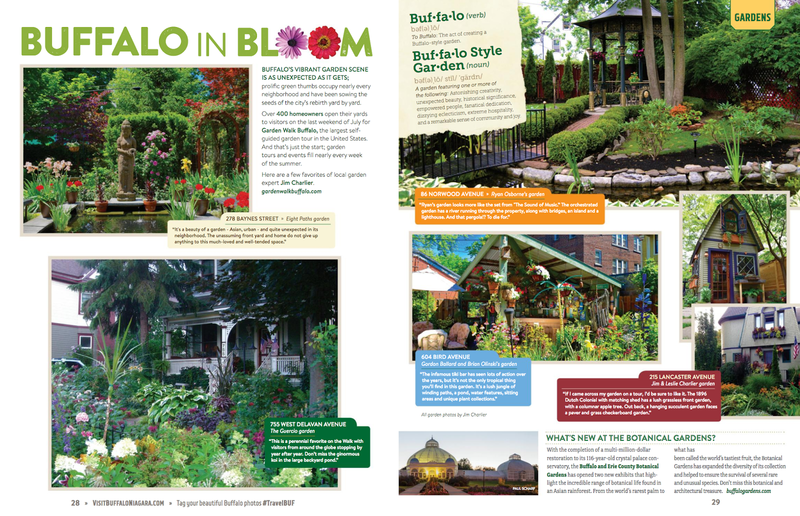 And they even snuck my garden in this spread! 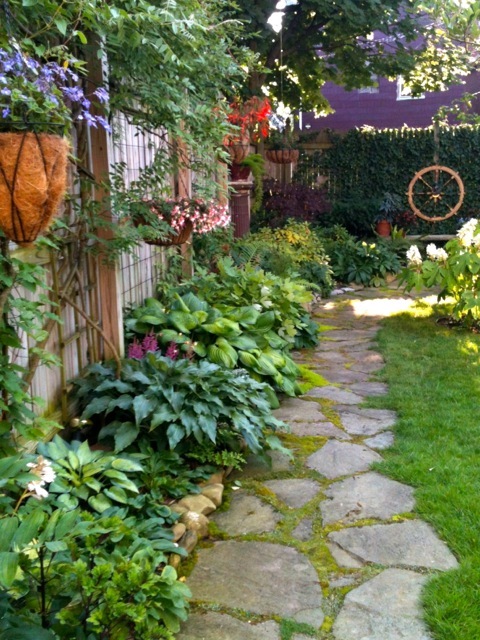 better yet, they've given me the loose title of "local garden expert." I'm an expert at something. I have it in writing now. Oh, and the background model in yellow? That's family friend, and Buff State student, Jake Brigham. His dad and I were born a month apart to parents that lived next door to each other back in Binghamton, NY in 1962. We've been friends since then. I held Jake as a baby. He makes me feel older than Matt does! Guides are available online here, though they use the FLW Martin House version of the cover (for shame!). They will be available at tourism sites around Buffalo, as well as at the VBN Visitors Center at 403 Main Street (Washington at Clinton St).